Posted by Dissent at 9:14 pm	Business Sector, Hack, Of Note, U.S. 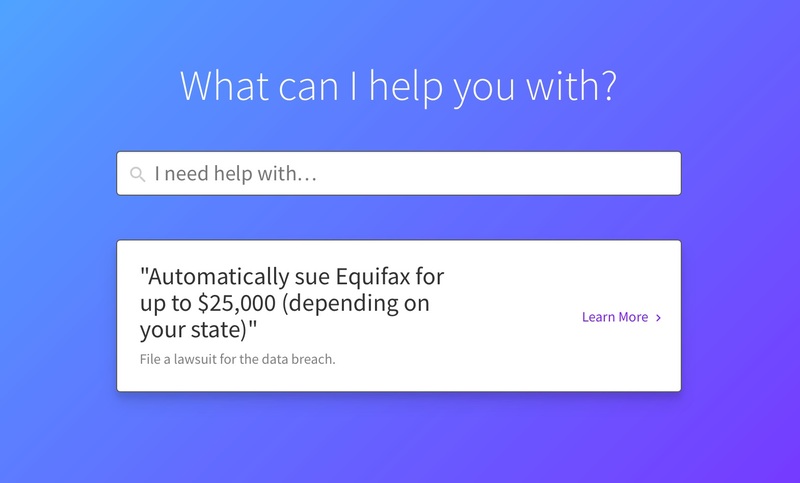 In September, entrepreneur Joshua Browder’s Do Not Pay chatbot website added a new skill: allowing people to sue Equifax for its monumental data breach that exposed the personal information of 145.5 million people, which included Social Security numbers. A few months later, the results are coming in and people are winning judgements approaching $10,000. Yahoo Finance spoke to a few consumers who have taken on Equifax in small claims courts, a process that they found surprisingly smooth, with no need for lawyers. “It was the easiest nine grand I ever made,” said Darrow B. of San Francisco, who just won a judgment of $9,100.